The warning message appears on the LCD display with the warning alarms. 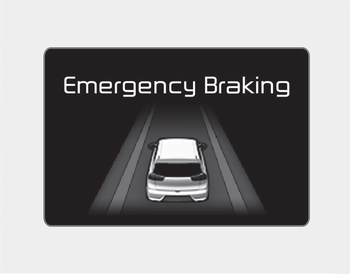 The AEB controls the brakes within certain limit to release shock from the collision. The AEB controls the maximum brakes just before the collision.